CONVERT YOUR HOME TO SMART HOME WITH OUR NEW HOME AUTOMATION EQUIPMENT CONTROL YOUR LIGHTS , CURTAIN , FAN , AC , TV WITH MOBILE ON IPHONE/IPAD / ANDROID , WITH REMOTE. Sensible Home Automation means maximum comfort for the user and saves energy at the same time. The SIEMENS GAMMA building control is based on the proven, globally implemented standard KNX in accordance with EN 50090 and ISO/IEC 14543. A select button allows for conversion from manual to automatic operation - ideal for shading tasks when sensors and timer switches are used. Engineering plays a Central Role as System Efficiency and Productivity are decisive success factors for Manufacturing Industries. For that reason, a high level of efficiency is already demanded at the engineering stage, as the first step toward better production. 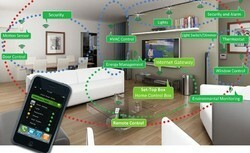 We are the leading provider of Home Control Automation System. For product and price list refer attached PDF file. We are engaged in offering ABB Home Automation Systems. The systems that we offer have been made from superior technology. These systems have great amount of strength. Our systems have been precisely designed by experts. The offered systems have effective performance level. 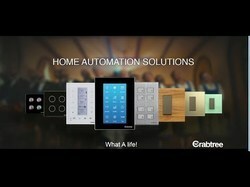 Further, these Home Automation Systems have feasible rate. The Home Automation System provided by us is easy to install and completely user-friendly.